SinclairProsser Law was recently honored by the American Academy of Estate Planning Attorneys in recognition of 20 years of membership. The award was presented to me and is transcribed “For Transforming the Lives of Families”. Looking back on those 20 years, I have the following to share with you. My father, Ron Sinclair, joined the American Academy of Estate Planning Attorneys in the spring of 1995. For most of his legal career, prior to that, he practiced in the area of real estate transactions. After a short sabbatical, he redirected his focus to estate planning. A colleague had shared information on the American Academy of Estate Planning Attorneys, a national organization dedicated to promoting excellence in estate planning by providing its exclusive membership of attorneys with up-to-date research on estate and tax planning, educational materials, and other important resources to empower them to provide superior estate planning services. Once he had researched, he enthusiastically joined the “Academy” and began conducting informative seminars on Living Trusts and putting together comprehensive estate plans for his clients. He was very excited about his new career and invited me to one of his seminars. I sat and listened, as all of you have, to the story of Bill and Mary Jones and their children, John and Susan. I could see why my father was so inspired by the seminar and wanted to bring this important information to his community. Shortly thereafter, my father offered me a job at his law firm. I felt strongly that this was an opportunity I could not pass up. When I first started at the law firm, my father conducted all of the seminars and managed the crafting of estate plans. I worked in the area of estate administration, or the settling of the estate after someone has passed. Several years later my dad started talking about retirement. I began conducting the seminars and preparing estate plans and he worked in the area of estate administration. As my father began cutting back on his time in the office, it was evident that I would need to hire an associate attorney. Attorney Nicole Livingston had just finished a clerkship with a Judge Looney at the Anne Arundel County Circuit Court and was ready to start her career as a practicing attorney. Nicole began conducting seminars and setting up estate plans. She was also dedicated in the area of elder law, concentrating on the unique issues of people as they retire and age. As I transitioned back into the area of estate administration, Nicole assumed leadership of the estate planning department. As of the beginning of September, Nicole has been with the firm for 11 years. Currently the firm has four attorneys: myself, Nicole, Jon Gasior and Victor Lembo. Jon conducts estate planning seminars and works with families to set up their estate plans. He also oversees the elder law section of the firm. Victor manages the estate administration section of the firm and works closely with me to supervise the settlement of people’s estates. I continue to meet with clients to review and maintain their estate plans. Now the senior attorney, my role in the firm has changed over these many years. 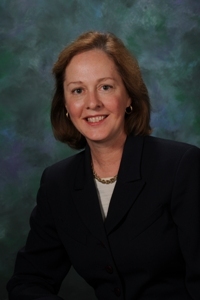 Another important member of the staff who has been with the law firm for 20 years is Cyndi Jenkins, our office manager. You may have met Cyndi at one of our many seminars. 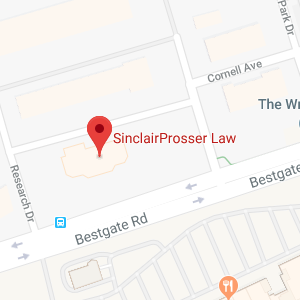 Cyndi was hired by my father, and prior to working at SinclairProsser Law, Cyndi and Ron worked together for many years at Free State Title Company. Cyndi has been a key employee and has worked with me to ensure the office runs smoothly and our clients’ needs are met. Looking back, 20 years seems to have passed so quickly. But, in retrospect, I think of how much has been accomplished and I realize that 20 years is a long time. Not only have I had the pleasure of “Transforming the Lives of Families”, I have been privileged by the inspiration of my father to become an attorney and work with him, by training with the American Academy of Estate Planning Attorneys, by working with a dedicated group of attorneys and staff, and by serving you, our clients.